A blog on race, diversity, education, and children's books. Today we’re excited to introduce Jill Eisenberg, our new Resident Literacy Expert! Jill began her career teaching English as a Foreign Language to second through sixth graders in Taiwan as a Fulbright Fellow. She went on to become a literacy teacher for third grade in San Jose, CA as a Teach for America corps member. She is certified in Project Glad instruction to promote English language acquisition and academic achievement. In her column she offers teaching and literacy tips for educators. When I taught third grade literacy in San Jose, CA, nearly 85% of my students were English Language Learners and English was not the primary language spoken at home, if at all. The school day was the main source of English exposure and I, like many other teachers in similar communities, felt it was up to my colleagues and me to pack as much English instruction into the school day to make up for the time away from English at home. Many classrooms across the U.S. face similar demographics and teachers know how critical it is to create an English language-rich environment in order to maximize student interaction and practice with the language. It didn’t help that my classroom reinforced those impressions because I found few ways to integrate Spanish for fear of distracting from English instruction and confusing students. I recognized that school hours were not enough to give my students the boost they would need to compete with more affluent students who had access to English-rich home environments. Accordingly, I needed to find a way for my students to continue building their literacy skills at home. Thankfully, my students and I had parents and educators in San Jose and neighboring communities guiding new and established teachers to create monthly, in-class programs that integrate the anchor standards of the Common Core and universal themes, while promoting other home languages as academic and scholarly. The Silicon Valley YMCA since 2004 has piloted the program, “Los Dichos de la Casa,” whereby Spanish-speaking parent volunteers co-lead a literacy lesson with a classroom teacher once month using bilingual books. As a result, non-English speaking parents have been able to continue rigorous discussions with their children at home, underscore the diversity of our classroom communities, and equalize parents as teachers in students’ minds. Whether your classroom has only a few English Language Learners (ELLs) or a majority, bilingual books can encourage close reading of a text and increase accessibility of the text to ELLs. 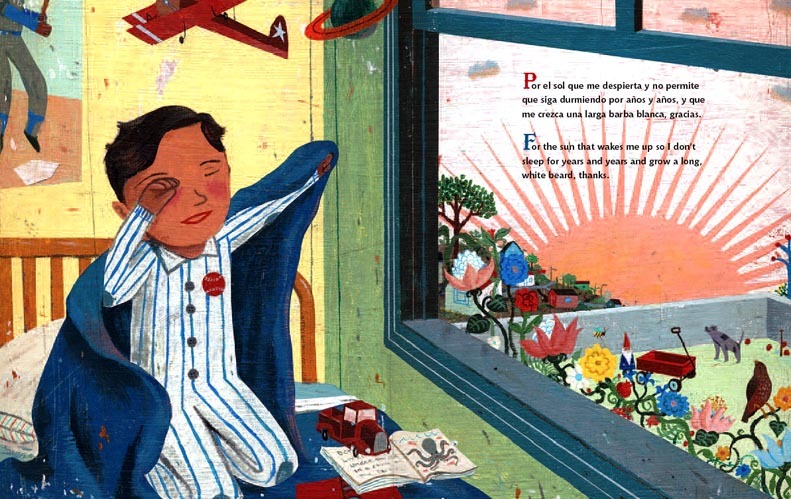 Over the next few posts, we will explain how bilingual and dual language books are being used in classrooms at various grade levels to foster deep, critical thinking and a love of reading. Previous PostTrick or Treat: Diverse Books for Halloween!Next PostReminder: Our Tu Friends & Family Sale is Happening Now! Meet Lee & Low Books at TLA 2019! In "New Voices/New Visions Award"
I’m looking forward to these follow-up posts! good to read interesting topic..
Don't miss a post! Subscribe via email for regular updates. Christy Hale, John Coy, & Stephanie Stuve-Bodeen at One Potato… Ten!